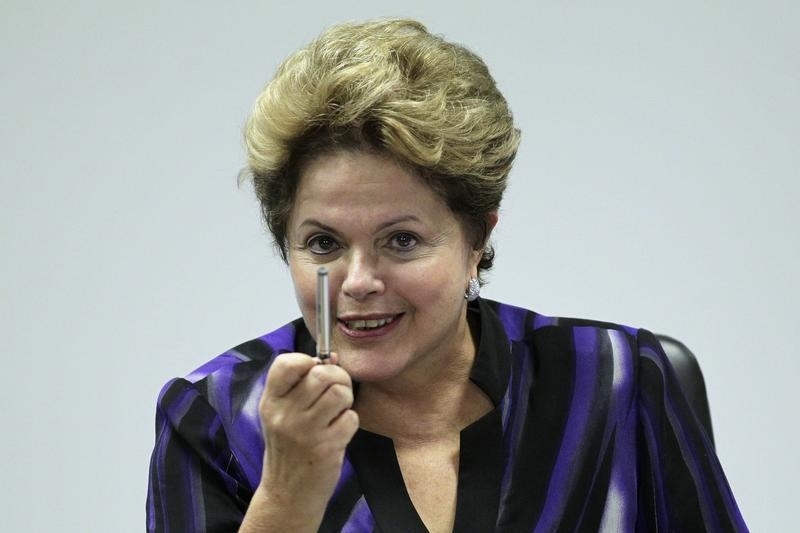 Brazilian President Dilma Rousseff has one core task to achieve on her visit to New York next week. The statist policies of her first term, together with falling commodity prices, helped tank Latin America’s biggest economy. She has adopted a more market-friendly persona during the first six months of her second term – but U.S. investors need convincing it’s real. International support is crucial. Brazil requires $64 billion in private investment in coming years to upgrade its infrastructure. It also needs help to exploit vast offshore oil deposits that state oil company Petroleo Brasileiro, weakened by a corruption scandal and poor management, can’t tap alone. Its $2.2 trillion economy, meanwhile, is expected to shrink more than 1 percent this year. Inflation remains at 11-year highs even though the central bank has raised rates by 2.75 percentage points since October to 13.75 percent. Economists expect another hike next month. Joblessness in May hit its highest level since 2010 and Rousseff’s approval rating fell to just 10 percent this month, according to a Datafolha poll. Investors worry that popular discontent and anger within her leftist Workers’ Party may tempt Rousseff to ditch Finance Minister Joaquim Levy, the architect of her austerity policies. Levy aims to use spending cuts and tax increases to eke out a primary budget surplus this year of just over 1 percent of GDP. As of May, he’s only a tenth of the way there. Rating agencies have warned Brazil may lose investment-grade status, which would raise borrowing costs and choke investment. Rousseff, who will also meet President Barack Obama and Silicon Valley executives, won’t get anything like the $53 billion in trade, finance and investment deals China and Brazil announced last month during a visit by Premier Li Keqiang. At best, a joint initiative on climate change and closer defense and aerospace ties are likely. On this trip, it’s more important that she offer reassurance she’s committed to working with global markets if she wants to boost chances of U.S. investment. Eschewing a variety of restrictions that have plagued the energy industry would be one example. Offering robust backing for Levy and central bank chief Alexandre Tombini would be another. Once a leftist guerrilla who endured brutality and prison, Rousseff does not lack resilience. Her U.S. trip would be an ideal time for her new persona to draw strength from her former self. Brazil’s President Dilma Rousseff will visit New York on June 28-29 before a meeting with President Barack Obama in Washington on June 30 and a trip to Silicon Valley to meet technology executives on July 1. A previous U.S. trip planned for 2013 was cancelled after former NSA contractor Edward Snowden revealed that the United States spied on her and other Brazilians.